I can’t believe that I sharing with you my LAST post from my trip to Los Angeles. I had such a wonderful time and I loved hearing all of your comments about the experiences that I had. Today, I am excited to share with you my experience interviewing Peggy Homes, Pirate Fairy Director and Jenni Magee-Cook, Producer. I loved this experience. 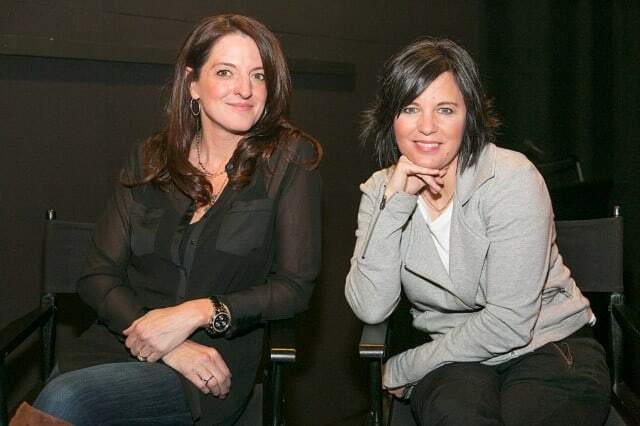 These woman loved what they were doing and believed in their movie and I loved the passion they had for the film they created. You could really hear in their voices that they loved The Pirate Fairy and it helped me to love it even more. We had just finished seeing the screening of the movie so it was fun getting their perspective of different parts of the movie. Here are some of my favorite parts of the interview. Peggy Holmes- One thing I really wanted to do was tell a story about a girl who makes mistakes. She made a mistake! We talk about her a lot, about how she is different from Tinkerbell. If Tinkerbell would have gotten into that situation, Tinkerbell would have stayed in Pixie Hollow and figured out a way to re-talk to the queen, re-talk to Fairy Gary. She would have approached it from another point of view. Tinkerbell stays on it. Zarina just felt too vulnerable and she just isn’t Tinkerbell. She is more of Tinkerbell after she had been through the experience. She ran away from home and ultimately when she realized what a huge mistake she’s made she does everything in her power to right the wrong. And one of the things I really love is that she gives back the blue dust but doesn’t expect to be able to come back home. That was really important to me to have her motivation would be to right the wrong not to get back in their good graces. And I think thats great because everyone makes mistakes. Pixie Hollow is a place where you can do that and ultimately your friends will be by your side. Q- How does Zarina Find the Pirates? Q- Why didn’t James need to think a Happy Thought to fly? A- I think James was thinking happy thoughts because everything was going his way. I think he was getting absolutely everything he wanted. Q- Now that hook has been introduced into the movies, how much further do you think you can go before bringing in Peter Pan and that whole storyline? A- Yeah, we can’t really say. You need to find a story that you want to tell. We can say we are super excited that we started to bring Tinkerbells world of Pixie Hollow and Peter Pan together. But there is no sort of master plan set. But do we love that we’ve done this? Yeah! 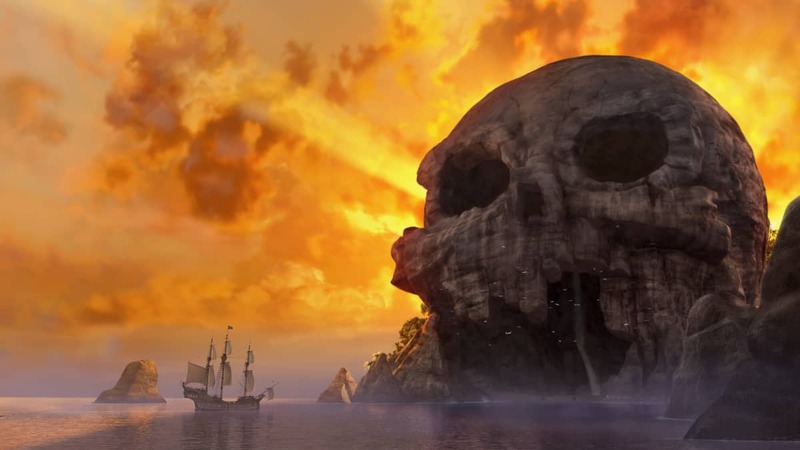 Do we love that we are seeing skull rock? Yeah! Do we love that we saw the island of neverland? Yeah! Introducing all these elements of the Peter Pan world is super fun. Q- Did you immediately know that the pirates would need a song? A- Yes, totally. 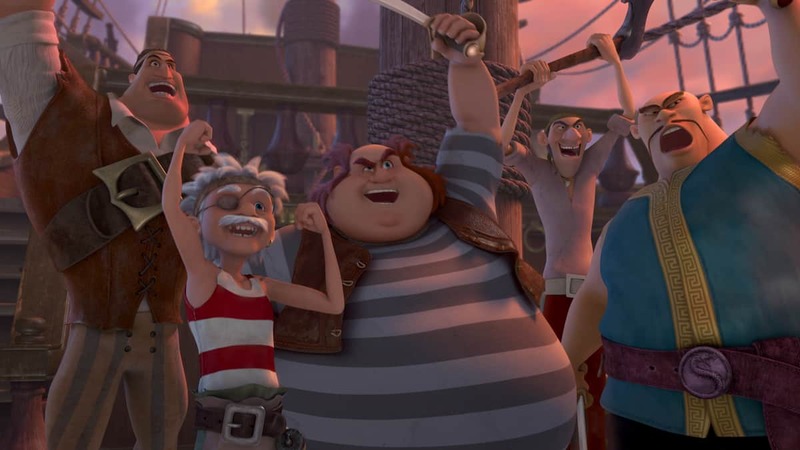 You can’ have a pirate scene without a song. It just doesn’t work. We established that it Peter Pan. The pirates sang in Peter Pan. So as long as you are staying true to what we established. In Peter Pan these are the pirates of the Neverland seas and they sing. Q- How did you get the idea that Zarina would switch their powers? A- That was a fun obstacle. You have pixie dust and she needs to slow the girls down. What could happen? Oh my gosh, she could switch their talents. What could we do to the girls that made them truly fish out of the water in that situation. How could she throw an obstacle that wasn’t physically damaging or scary and slow them down. I had such a wonderful time during this interview and loved hearing the behind the scenes stories about The Pirate Fairy. 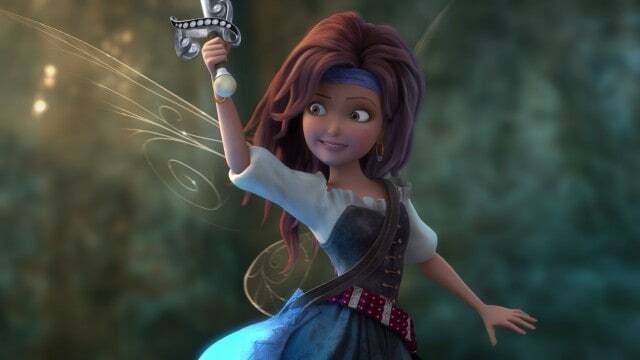 Disney The Pirate Fairy is available now on Disney Blu-ray and DVD. It is a really fun family friendly film that your sons and daughters will both enjoy! 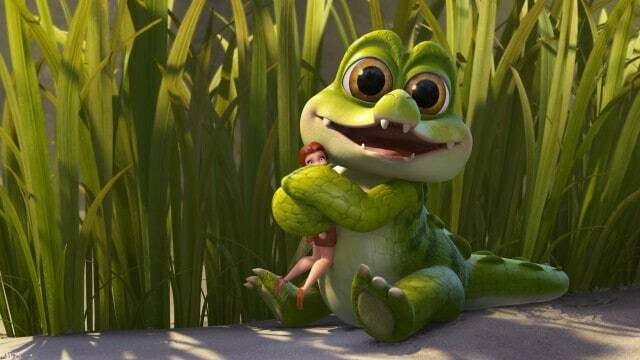 We were also informed that Tinkerbell Short films, Aargh and Treasure Chest are coming soon to the Disney channel so be on the look out for that!